Access All Areas members have a new set of premium Photoshop Brushes available to download today that were kindly supplied by designer and letterer David Larusso. 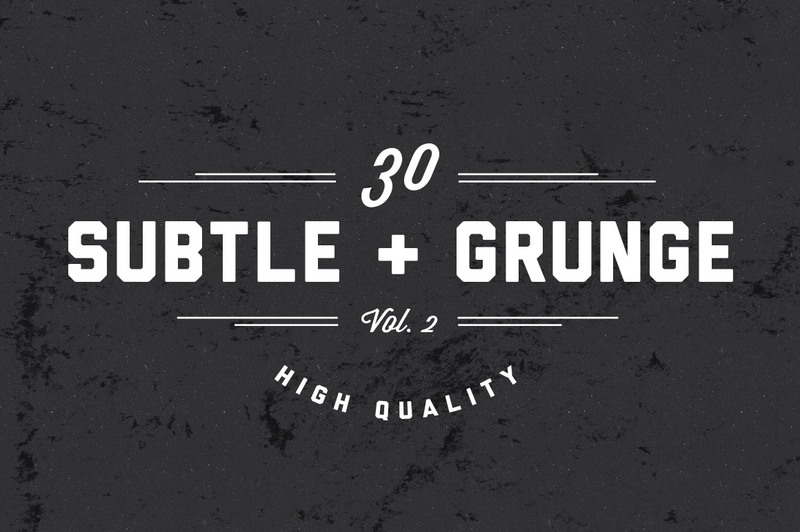 This set of 30 Subtle Grunge Brushes can be added to the fantastic Subtle Halftone Brushes David kindly donated last year, giving you a comprehensive collection of tools to create distressed effects in your artwork. Each brush is made from a high resolution source with a minimum of 4000px width, so they’re extremely versatile for even the largest of print design projects. David Larusso is a designer and letterer from Germany who specialises in art direction, print design and custom lettering, David also provides a range of design resources on his TexturWerk store that allow designers to produce popular retro and vintage effects with subtle grunge textures available in vector and brush format. David currently has a massive 50% off sale across all his products, which provides a great opportunity to grab some great value premium quality design tools. This pack of 30 subtle grunge brushes contains various high resolution texture samples that allow you to erase away portions of your designs to create a used or distressed effect, or to add texturing to otherwise flat colours to give your artwork a more tactile appearance. Double click the .ABR file to load them into your Brushes panel, then select a texture from the toolbar while the Brush tool is selected. These can be really useful! How wonderful! I like! Thank you both!